To anyone who would take a sneak peek into the hallowed halls of Harvard (or, as Bob Dylan would say, ‘the green pastures of Harvard University’), I would direct your attention to the ‘Links’ menu on the right in which you will find an online lecture course. The course is called ‘Justice‘, and the professor is Dr. Michael Sandel. Sandel has taught this course every year for the last 20 years or so, and the total number of students that have attended is over 10,000 (as well as many more virtual students by way of the online course). It is an engaging and participatory look at modern practical ethics, with illustrative historical case studies (such as the tale of 4 sailers stranded in a lifeboat who eventually had to decide which person to eat so the other three could survive longer), and a reading list that includes Aristotle, Kant, Mill, Rawls, and Nozick. Sandel was a long-time Harvard colleague of the latter two men, and he wrote a book that mildly criticized Rawls for things like not placing more weight in the Original Position on considerations such as personal relationships (family, etc.) and values. Otherwise, he does not seem to me to really disagree with any of the substantive points of Rawls. Over the course of the course, Sandel stimulates discussion and debate from the students, provoking thought and asking them to justify their opinions in a rational and convincing way to their peers. 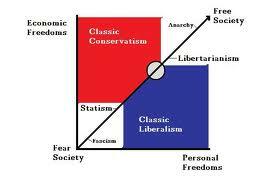 Naturally, the students make cases for a variety of views, including libertarianism and liberalism. Sandel never explicitly agrees or disagrees with any of the views in question, but contents himself with allowing students to make consistent arguments and decide for themselves based on the facts–as it should always be done in any society, whether between 1000 Harvard undergrads in a lecture hall or between 300 Million diverse Americans across the continent (by the way, this online series, and Sandel himself, has recently become quite popular in Asia, particularly China). 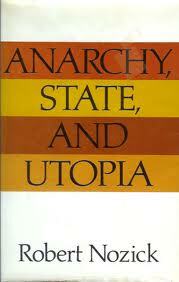 This brings me to attempt to give a summary and critical review of Robert Nozick’s 1974 work Anarchy, State, and Utopia, which was written partly in opposition to Rawls. His central idea is called the ‘Entitlement Theory’, which basically states that any redistribution of goods is only ever justified if it has the consent of the owner of the goods. He argues in favor of a minimal state that emerges from anarchy, and serves only the purposes of protection of the individuals, enforcing contracts when necessary, etc. 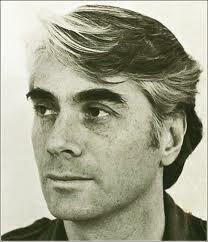 Nozick’s theory has been criticized as much as or even more than Rawls, and Nozick himself even seemed to retool some of his central arguments in his later The Examined Life (1989). The work of John Locke is fundamental to Nozick, who uses a different emphasis from the English Enlightenment thinker than did Rawls. Nozick’s point of departure for his thesis begins with the Lockean ‘State of Nature’, in which everyone is in possession of individual natural rights, but without any central authority, or state, to adjudicate them in the case of conflict of interest. Despite the problems which will inevitably arise from such a state (which is the Anarchy of the title), Nozick’s basic idea is that the centrality of individual rights is fundamental and the most important goal and desire to be achieved and protected. Therefore, the evolving and nebulous type of state that follows will need to remain minimal and highly limited in regards to the natural state of individual freedoms. Nozick further argues in favor of the ‘night-watchman state’, which arises from the mutual cooperation of citizens in order to protect and guarantee personal freedoms, security, frontiers, and ensure fair-dealing between individual contracts. The freedom of the individual is not restricted in any other way, and the state will have no authority other than these most basic principles of security (which were, I must emphasize, only a product of mutual agreement by all citizens). Naturally, every transaction or contract between individuals will be mutually agreed upon as well, even if the terms of these contracts necessarily facilitate growing inequalities or unfairness between the parties. These resulting inequalities are themselves unimportant to Nozick, so long as the original exchange of goods or services between individuals was voluntary. It is his discussion of this form of justice, called the ‘entitlement theory’, that Nozick most directly challenges Rawls’ ‘difference principle’ and his ideas of distributive justice. Nozick’s theory is most simply summarized as “From each as they choose, to each as they are chosen.” It is also a non-patterned theory (as opposed to almost all other theories of distributive justice) and derives from historical means (rather than theoretical). The first principle of the entitlement theory is ‘justice in acquisition’, in which the current ownership of goods and wealth must be able to be shown as having been acquired justly–that is, from originally mutual agreement between individuals. Basically, Nozick explains that individuals are all equally free, and that any inequalities between these individuals in society today can (and must) be legitimately traced back to a series of just, if unequal, transactions or contracts. Already, I hope it is becoming increasingly apparent that this attempt at historical justification of an infinite series of injustices carried out along a seemingly continuous timeline from primitive hunter-gatherer groups to the 21st century is, at best, unsatisfying. This first premise of ‘justice in acquisition’, which claims to be historical, and on which the large part of Nozick’s libertarian theory rests, is nothing more than the morally-dubious claims that all past transactions of labor and capital between mankind have been conducted voluntarily, or that the powerful have never exploited (or enslaved) the weak, or that it is even remotely possible to derive a current theory of justice from historical facts, rather than theoretical means. Notwithstanding my rejection of the validity of Nozick’s initial premise, allow me to continue to describe the following components of his theory. The second principle is ‘justice in rectification’, in which there will apparently be needed some form of redistribution in the case of any violation of the first principle of acquisition. The third principle is ‘justice in holdings’, and the fourth is ‘justice in transfer’. These last two merely state that, given justice in the original acquisition, that the person is entitled to indefinite holdings of their possessions, or to voluntarily transfer these possessions to another person as he chooses. In this case, it would therefore be prohibited for any other individual or the state to take any part of a person’s goods or money for any purpose unless it was voluntary. Nozick follows through with the necessary consequences of his theory by asserting that taxation in any form or for any purpose can be fully equated with forced labor. This pugnacious idea remains the underlying core and impetus that continues to drive libertarianism today. It also has the misfortune to be fallacious. According to Nozick’s theory, if an individual were to pay his tax obligations to the state voluntarily, then that would be totally just, and, therefore, nothing like ‘forced labor’. The only problem with taxation according to Nozick is that it must be paid, from the fruits of one’s labor, involuntarily to the state. One imagines half-naked slaves sweating and dying under the Egyptian sun to build pyramids for an all-powerful, autocratic pharaoh, a living embodiment of the state. There are at least three main problems that I immediately find with the taxation=forced labor fallacy. Problem Number One is that taxation somehow deprives a person of all of his rightfully-earned money, or that he will not be entitled to provide for himself freely, because any amount of taxation (however small or progressively enacted) will reduce him to little more than an uncompensated serf (in America, the highest current tax rate for the top income bracket is 35%, though in practice these wealthy individuals pay much less; hardly ‘forced labor’ by any measure). Problem Number Two concerns the apparent misconception that individuals being taxed by the state will receive nothing in return, when in fact the state is involved in a wide variety of services, by now taken for granted by all, that not only fit Nozick’s (and Locke’s) minimal state requirements for security and mutual protection of contracts, but also the productive areas of education, infrastructure, energy, healthcare, research and development, technology and innovation, etc. Without exception, whoever amasses wealth does so within the bounds of a civil society that has allowed for not only his own potential success, but for the success of many others who are available to freely conduct business with each other (and to become mutually prosperous together). That is to say, the minimal state theory which does not tax its citizens also does not provide any services to its citizens that allows them to flourish as much as possible and for the greatest number of people as possible. That leads me to Problem Number Three that whoever is so opposed to this ‘forced labor’ idea of taxation with no recompense would surely still be free to leave his society at will in favor of another which is, shall we say, more anarchic (Somalia comes to mind, where they would certainly not be burdened with the forced labor of paying taxes). Let me touch on some of the other pieces of Nozick’s argument. He describes possible limitations to the freedom of acquisition of the individual, for example when the appropriation of goods by a person results in the position of everyone else being worsened. Therefore, it would be illegitimate for a person to take control of something like the only watering hole in the desert and charge exorbitant prices to other’s in need of water. The limits of this exception are unclear, however, as historical entitlement to something like a medical researcher’s cure for a disease allows this person to charge whatever price he wishes for his goods. The argument appears to rest on to what extent an individual’s possession is historically justified but natural (such as property, natural resources), versus how much it directly results from labor of the individual (such as man-made products or inventions). 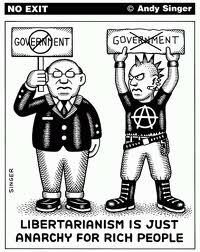 Either way, if we faithfully follow the libertarian principle, we should find no injustice if one individual freely accumulates, through a long series of unequal transactions, all the resources of a society and proceeds to exploit the rest of the citizenry for their want of food, houses, or needed services. For the libertarian, the word would not be “exploit”, but something like “freedom”–this is a freedom I want no part of. Back to Nozick’s refutation of Rawls, Nozick questions why the well-off individuals of a society would participate in the ‘difference principle’ at all, which would benefit the least well-off. He considers Rawls’ principle of distributive justice that benefits in the first case the least well-off to be morally arbitrary. In a way, it is arbitrary, but I would have little trouble arguing that Nozick’s initial premise of the inviolability of individual rights at any cost is equally arbitrary (indeed, the scholar A.A. Leff made this same case against Nozick in a 1979 book). Furthermore, I would submit that any theory or idea of morality is already, by definition, arbitrary, and subjective, and based on the historical time and place of the idea’s authors more than anything else. In the name of brevity, and before I lose too many readers, I will attempt to conclude with a summary of why Nozick’s libertarian treatise is inferior to the liberalism of Rawls. In the first place, let us not forget that Rawls’ 1st principle of justice, which takes precedence over the 2nd (which includes the controversial ‘difference principle’), states that “each person is to have an equal right to the most extensive basic liberty compatible with a similar liberty for others.” So, far from imagining Rawls as permitting the state to run rough-shod over individual freedoms in the name of equality, he only introduces his theory of the distribution of justice (as fairness) after requiring that individual universal liberties were a natural right (though, if you remember, he did not include certain things like ‘freedom to own any property’ or ‘freedom to conduct laissez-faire capitalism in any manner’ in his basic individual freedoms, as Nozick certainly would). In addition, the incremental inequalities that result over time from Nozick’s theory will almost certainly lead eventually to a situation in which a wealthy few individuals (or corporations) control or own all the levers of power, risking a highly unstable (possibly fascist) society in which the individual freedoms of many citizens could no longer be guaranteed. Rawls himself made this argument in one of his few rebuttals of libertarian theory in The Law of Peoples (1999). Furthermore, as I already stated, the entire libertarian premise according to Nozick rests on the shaky foundation of the historical fantasy-land justification for property rights which somehow allows for complete justice and individual freedom. This is something which is quite rightfully unnecessary for Rawls’ liberal theory, which is a-historical and depends only on the will of the people in the present tense to mitigate injustice through fairness. I must admit that I respect and admire the work of Robert Nozick, who was undoubtably an honest and honorable thinker, and who made many contributions to philosophical thought in addition to his political theory. I merely think that he was wrong about his entitlement theory and his opposition to distributive justice. There are many politicians and writers who advance a related notion of libertarianism today that I consider to be somewhat less well-intentioned than Nozick, however. My main objective in beginning to form this refutation of libertarian theory is to demonstrate the bankruptcy of ideas of its current standard-bearers, which include the right-wing fringe from Ron Paul to the Tea Party. I shall have occasion to deal more specifically with each of these cases in future posts, as well as to provide further justifications for the merits of an alternative system based on pluralistic liberal ideals.